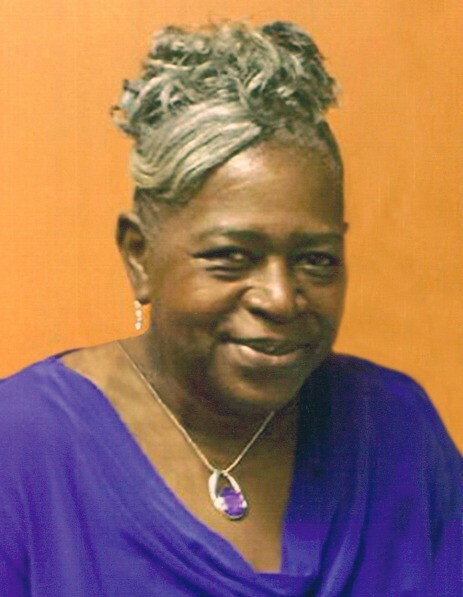 Wilmington – Yvonne Osborne Canady, 65, passed away on Sunday, April 7, 2019 at Guilford Health Care Center after several months of failing health. She was born in Mineral Wells, TX to the late Elijah Osborne and Helen Nixon Osborne, and was married to the late James Henry Canady who died in 2007. Yvonne formerly was a nurse at New Hanover Medical Center and Britthaven Northcase Nursing and Rehabilitation in Wilmington for over 40+ years combined. She enjoyed helping others, singing and was a lifelong member at Mt. Zion AME Church in Wilmington. Yvonne was a loving wife, mother, sister and friend who will be dearly missed. Survivors include her daughter, Olisha Canady-Turnage and husband, Elliott; a sister, Helen Osborne Green; nephews, Derrick Brown, Maurice Brown, Lamont Green and Rashad Green and wife, Denise; a niece, Shytonia Brown; her mother-in-law, Doris Canady; and her best friend, Ivy Banks. She was preceded in death by her husband; parents; sisters, Betty Louise Townsend and Elaine Brown; and her father-in-law, William Henry Canady. The celebration of life service will be held at 4:00PM Thursday, April 11, 2019 at Lowe Funeral Home Chapel by Rev. Jason Wilkerson. The family will receive friends following the service in the chapel and other times at the daughters’ home in Graham. Memorials/Flowers may be sent to her daughter, Olisha Canady-Turnage & Family.